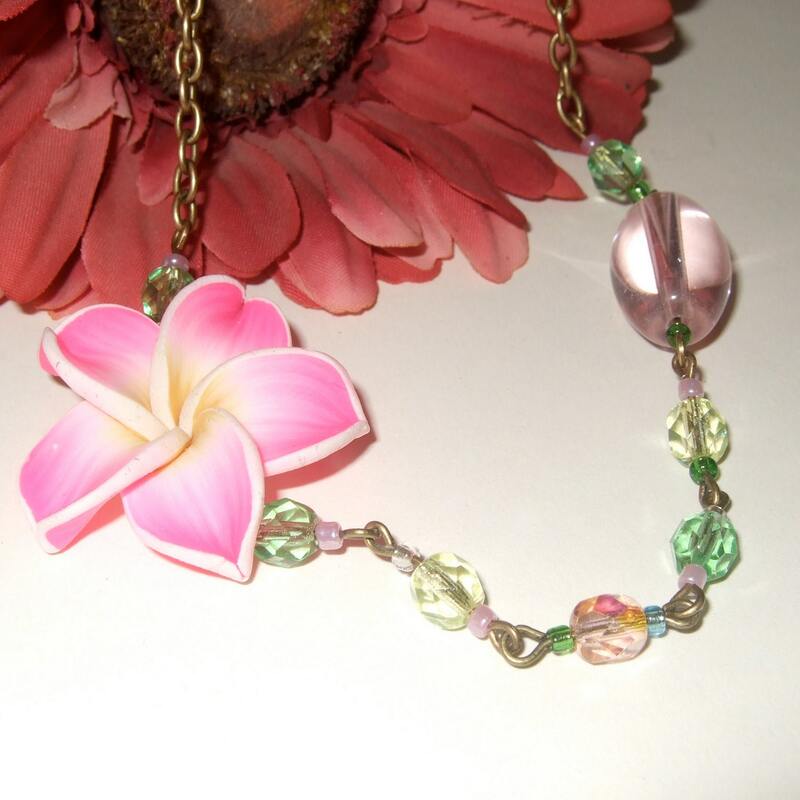 Lovely springlike flower necklace ~ comprising gorgeous sparkling faceted beads in green, pink and lemon, a beautiful clear glass oval bead, toning seed beads, and a bright pink polymer clay flower with a yellow centre. 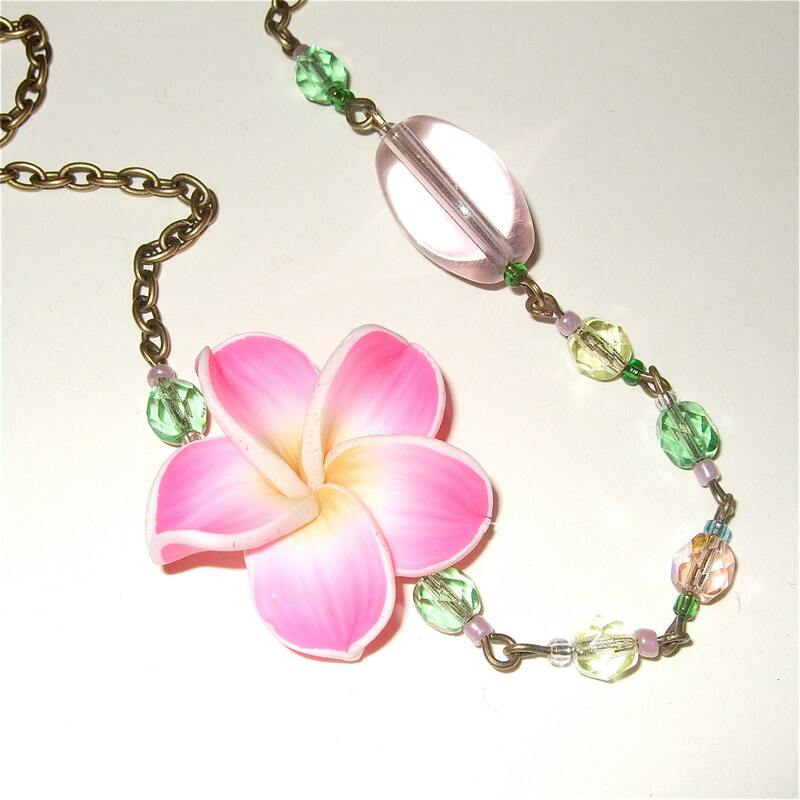 The flower makes a pretty yet lightweight off-centre focal point for this ladylike necklace. Chain is antique bronze plated and fastens with a lobster claw clasp. The length is approximately 18"/45cm and sits prettily, but please convo me if you would prefer a longer or shorter chain as any length can be accommodated. 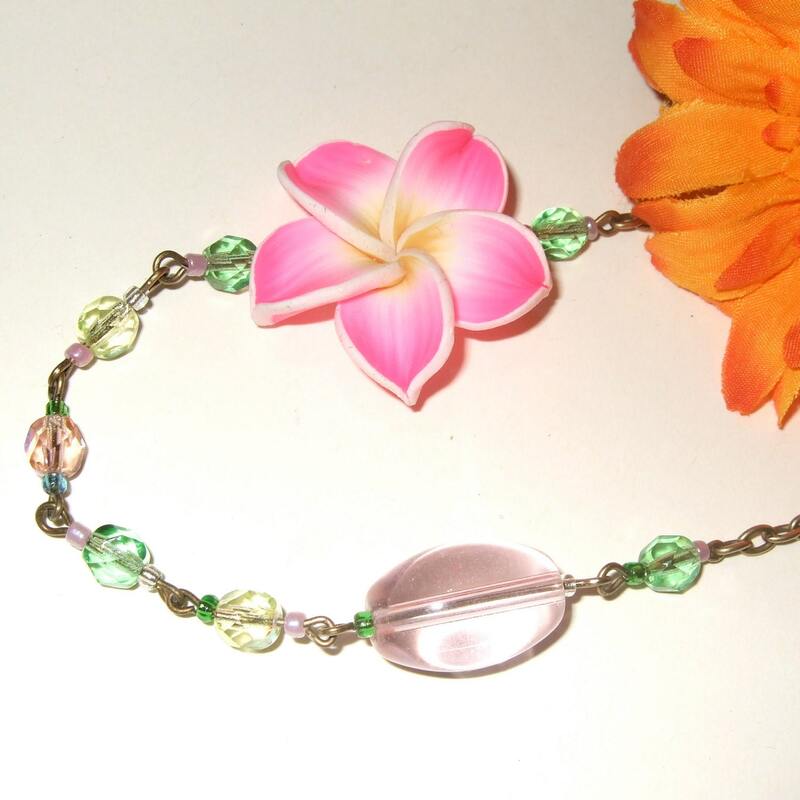 Chain is lead and nickel free. Oh, and I position all my necklace clasps on the right side of the necklace as you wear it - I know as a right-hander this works for me, but if you would prefer it on the left side please do let me know in the notes to seller - it's only a tiny thing but it's just easier to do up with the clasp on your preferred side!